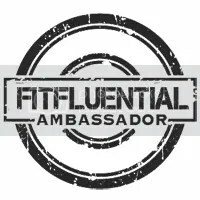 I share workouts, running tips, giveaways, recipes and more on Fine Fit Day. Don’t miss out on a post by signing up to receive every post by email! I promise, no spam, ever and your email address will never be shared. Enter your email address below to receive new posts by email, as well as exclusive subscriber-only benefits, like workouts, running guides and more! The Fit Mama Friday series highlights mothers (and recently a couple of dads!) who make fitness a priority in their life. Learn their tips for making it work, as well as be inspired by their stories of weight loss, overcoming obstacles and motivating others. The Running Tips series gives advice on racing, training, injury, getting faster and more. 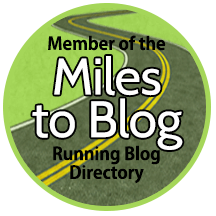 Check out some popular Running Tips posts like Starting From Scratch, 8 Tips for Mastering the Long Run, Recovering From a Race, and How to Develop a Race Strategy. Do you give up on working out because you realize you only have 20 minutes? You can still get a great workout done with only a short period of time available – 3 Quick Workouts gives you three options, all of which you can sweat through in less than 30 minutes. Don’t have time to get to the gym? No worries, two of these can be done anywhere! Whether you’re a New Yorker, or planning a trip and want to find a great route to run, I canvassed some New York runners and bloggers to see where it was they love running the most in this city for The Best Places to Run in NYC. From bridges, beaches, river roads, iconic parks, to skyline views and more! I’m a huge proponent of taking small steps to make big changes toward a healthier lifestyle. In 50 Easy Healthy Habits You Can Start Now, I shared 50 small ways you can make a change and create a healthy habit, without feeling deprived or overwhelmed. It all adds up when you start small and work your way up to a total lifestyle change. I love sharing recipes on the blog. From soups and stews to cookies and snacks, you’ll find lots of simple recipes you can easily adjust. My Vegetable Frittata recipe was a popular post because it’s easy to make, you can include whatever ingredients you like and it’s delicious for any meal of the day.